Deadfall Adventures is the newest game from Polish developer The Farm 51, who has previously worked on PC first person shooters NecrovisioN and Painkiller: Hell & Damnation. While this new title is also a first person shooter, the team has decided to go in a different direction this time around and focused on combining action and puzzle solving in a Lost World setting. Players take on the role of James Lee Quartermain, the great-grandson of Allan Quartermain from H. Rider Haggard’s series of novels, as he explores ruins and temples in Egypt, Guatemala, and the Arctic in search of the Heart of Atlantis. The Farm 51 has attempted to merge elements of Haggard’s literature with some of the more contemporary genre titles like Indiana Jones and Uncharted, and while it’s clear they have a good deal of ambition the results are fairly mixed overall. Most players will likely start with the single player Adventure mode, which is what the majority of the pre-release footage from Deadfall Adventures has been focused on. The story is broken up into eleven levels, each of which are fairly lengthy and will take a little to progress through. There are multiple difficulty levels that are selectable right from the beginning, and what’s interesting is that The Farm 51 has provided difficulty levels for both the combat and puzzles so that players who want to just focus on the shooting elements can do so. It took me between eleven and twelve hours to complete the Adventure mode, which is a bit longer than the last few first person shooters I have gone through, and I got about half of the achievements (some of which are tired to the Survival and Multiplayer modes). There’s definitely a good deal of content in the game, but of course the biggest question is whether spending eleven to twelve hours on this adventure is worth the effort or not. As mentioned earlier, players take on the role of James Lee Quartermain, an adventurer who is the great-grandson of H. Rider Haggard’s Allan Quartermain character and is currently residing in Egypt. In 1938 he is visited by former colleague Jennifer Goodwin who is now working for a US agency of some kind that specializes in ancient artifacts, and is talked into escorting her through the Egyptian tombs in search of the Heart of Atlantis. In true genre fashion, it doesn’t take long before the two are confronted by both Nazis and the undead within the ruins, and a little later in the game they’re taken hostage by Russian communists. What follows is an attempt to channel the spirit of Indiana Jones where Quartermain not only finds the pieces of the Heart of Atlantis throughout plenty of exotic locations, but fends off the Nazis and Commies and saves the damsel in distress in the process. It’s not a bad premise, especially considering that aside from the Uncharted series I haven’t seen this very traditional adventure storyline in too many video games in recent years. The problem is that the characters are far too one-dimensional and don’t really do anything that makes the player connect with them. James Lee Quartermain is perhaps one of the most stereotypical heroes I’ve seen, as he’s your typical charge into action first, ask questions later kind of guy and makes plenty of borderline sexist remarks towards Goodwin. Both the Nazi and Communist antagonists are pretty generic as well, and seem to follow the whole “bad guys trying to use ancient technology to take over the world” pattern. It’s not necessarily a bad plot overall, but there isn’t any part of the story that I feel players will remember months from now and in trying to capture the feel of the classic adventure literature and films The Farm 51 has failed to really add any kind of twist that would make their ideas distinguishable from their inspirations. Without a truly engrossing plot to motivate players, that puts greater emphasis on the gameplay elements and the range of locations that are available to keep them wanting to see Deadfall Adventures through to the end. In this regard the game does manage to succeed, as the variety of tombs, arctic caves, and open areas that the players are given to explore are interesting and all have a fairly different look and feel. Since equal time will be spent exploring/solving puzzles and shooting human and undead opponents, I think it’s best to talk about the two distinctive gameplay styles separately. For anyone that has played NecrovisioN, the shooting in Deadfall Adventures will likely feel familiar. For this review I used the mouse and keyboard controls using the standard WASD setup but key rebindings are available and there is gamepad support (which makes sense since the title is also available on Xbox 360). Typically the action sequences all play out in a similar fashion, as you’ll be exploring an environment and the music will suddenly pick up, at which point undead monsters either begin ambushing you or human enemies spawn and begin attacking. In many ways the way that the action is handled reminds me of first person shooters from much earlier in this console generation, which isn’t necessarily a good thing. Enemies spawn from pre-determined points and typically keep coming until you defeat a certain number, and there were several levels where I would be running around the level and suddenly have an enemy appear out of thin air directly in front of me because I had stumbled across a spawn point. There’s the typical health regeneration system in place that has been fairly common in PC first person shooters since Call of Duty 2, meaning the screen turns red as you take damage and you must take cover to recover. Enemy AI is mixed, as the human opponents will try to take cover to an extent and flush you out with grenades while the undead opponents will simply rush you in a manner similar to an arcade FPS. Typically I found that the few challenging moments weren’t due to the fact that the enemy AI was particularly intelligent, but instead because the game likes to spawn enemies all over the place and on multiple levels meaning you get shot from all directions and have to figure out where they are. There are a decent amount of guns available in the game, and by default the player always has pistols with unlimited ammo available with room for two additional guns. The Farm 51 has attempted to make all of the weaponry reflect the 1930s setting, and there’s still a decent amount of variety when it comes to the handguns, rifles, and machine guns that you’ll be able to use throughout the course of the adventure. However, the biggest issue I had with the gunplay is that there just doesn’t seem to be much weight to them. Unless you’re using a sniper rifle, enemies tend to be bullet sponges and hit detection seems a bit spotty. I found myself in numerous situations where I was aiming down the iron sights trying to hit an enemy from a distance with a rifle and it just didn’t seem like the hit detection was working. As a result, the best option seems to be to rush in guns blazing, take some damage, retreat and then repeat the process. The developers did try to compensate by including a wide range of traps in the environments that players can trigger to take out enemies, and there are some other cool small details that I liked. It’s possible to disarm grenade traps in certain levels and get the grenades for your inventory rather than just blowing them up, and undead enemies have to be hit with a concentrated blast from your flashlight before they will take damage from guns. These types of small touches showed an attention to detail that I hadn’t expected from the game, but it’s unfortunate the majority of the weaponry wasn’t more satisfying to use. When you’re not fighting enemies, you’ll be spending your time exploring the levels and solving puzzles. Puzzles in Deadfall Adventures typically consist of figuring out which switches to pull in which order, but occasionally there are some more in-depth ones. At any time it is possible to pull out Quartermain’s notebook using the N key, which is supposed to supply a hint about the puzzle but often seems to spell out the solution (this was on Normal difficulty so I’m not sure if the notebook contents change on Hard). Despite the similarity of some of the puzzles, I found them to be a nice change of pace from the shooting and didn’t mind sections where I ran into them. Players are also encouraged to explore the nooks and crannies of each level to pick up treasures, which are not only included for completionists but are used to upgrade Quartermain’s abilities. By collecting a certain number of treasure, players can upgrade things like health regeneration speed over the course of the game which makes it worth picking them up whenever possible. However, there are two issues that hurt the experience. First, the levels are much more limited than they initially appear. For a game that seems to encourage exploring its large environments and finding hidden treasure, the majority of the treasure isn’t that far off the beaten path and there are invisible walls all over the place that make the areas smaller than they initially appear. Secondly, the game uses automatic checkpoint saves that don’t always seem that well placed. There are quite a few treasures that have traps surrounding them, and as you can imagine it’s often very easy to get killed by them. Checkpoints aren’t set up very well around this, so it isn’t uncommon to fight a slew of enemies for ten plus minutes and then get killed by a trap right afterwards, causing you to have to repeat the entire fight all over again. It’s a bit frustrating, and could use some further adjustment. Despite the flaws and lack of oomph to the gun play, I still feel that Deadfall Adventures’ Adventure mode was compelling enough to keep me wanting to see it through to the end. The environments were interesting to explore, and the extreme variation between the Egyptian, Arctic, and Guatemalan levels ensured that there was always something new to see and cool set pieces to check out and blow up. Even the section where you’re thrown into a mine cart was a nice diversion and made for some quick and fun arcade shooting. At the same time, there were a number of cool looking action sequences where cinematics took over. I’m appreciative that the developers didn’t give in to quick time events like many other modern shooters, but it still felt like control was taken out of the player’s hands during some of the cooler sequences. Overall, I don’t regret spending time with James Lee Quartermain and exploring these ruins and tombs, but it doesn’t seem likely I’ll remember a whole lot of specifics about it. 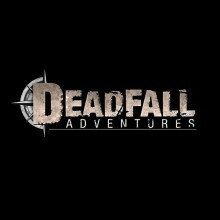 If you’ve looked up other reviews of Deadfall Adventures, you’ve probably noticed they make very little mention of the Survival or Multiplayer modes. In fact, prior to the release of the game I had no idea that there was going to be any content outside of the single player mode as all of the trailers had focused on that. I was unable to try the competitive Multiplayer mode as I didn’t find anyone to play with pre-release (I guess all the other game reviewers were playing at different times) and didn’t have much better success the day the title came out, but it looks like it has the Call of Duty style level up system mixed with some interesting objective based game modes. The Survival mode can be played solo so I did have a chance to try that out, and it’s your typical wave based combat but incorporates the traps from the single player into the levels and encourages you to use them. I can appreciate that The Farm 51 included all of this content in the game, but with the somewhat weak gameplay it seems unlikely that the servers will ever have enough of a player base to truly support the more interesting game types that they have created. Deadfall Adventures was built on the Unreal Engine, and it definitely seems to be the best looking game that The Farm 51 has made to date. When everything comes together in the open environments there are some stunning backdrops, and there is a decent amount of detail to everything. It doesn’t exactly stack up to the graphical powerhouses that the bigger budget studios have put together, but the graphics did look better than I was expecting and don’t have that super cheap budget feel that I’ve encountered from some of the other European developed first person shooters. The game also runs really smoothly, and even with the detail level turned up to Very High I never encountered any major frame rate drops during enemy encounters. However, there were some bugs here and there and they seemed to occur a bit more frequently towards the end of the game. The early levels were extremely polished, but I ran into some texture clipping and odd animation bugs towards the end of the game. Sometimes it’d be something small like I’d be able to clip through a rock, while other times I’d somehow trigger invisible walls that made it impossible to progress and have to reload a previous checkpoint. A fairly sizable day one patch was available on Steam when the game came out, so it’s possible that some of these glitches have since been fixed as I completed the Adventure mode prior to the release date. One area that could’ve used a lot more fine tuning is the cinematics though, as the animation during cut scenes is very awkward looking and nowhere near as smooth as the in-game engine. There is also an issue with the spoken words not syncing up with character’s mouths, which gives some of the scenes an unintentionally terrifying look. I’m curious as to whether this is an issue with the engine itself, or whether it is because the dialogue wasn’t originally in English since the developers are from Poland. Speaking of sound, the voice acting is surprisingly decent for this type of game. If you’re expecting any extraordinary performances you’re going to be disappointed, but for the B-movie vibe that Deadfall Adventures seemed to channel at times the acting and dialogue wasn’t that bad overall. A lot of the lines may have been cheesy, but I liked what the developers were going for overall. There was a weird audio glitch that I encountered during cut scenes though, as the game would often cut off the last word someone was saying and transition directly into the next scene. I thought this was just an isolated issue but it happened multiple times throughout the game and was just as jarring each time it occurred. The rest of the sound work fares a bit better, as the background music really helped to add to the fun over the top feel of many of the action sequences. Other than the cut scene glitch I really have no complaints with the soundtrack and sound effects, as everything fit in well with the world the developers created and nothing seemed overtly out of place. I really wanted to like Deadfall Adventures more, as I love the idea of exploring ancient ruins and tombs and taking on undead enemies and other humans seeking the same treasure that I am. But everything about the game just seems a bit too average, as the exploration elements are a bit more limited than I had hoped for and the shooting wasn’t quite satisfying enough to make up for it. The level designs are pretty neat and the puzzles are enjoyable overall, but when combined with the simply okay storyline and checkpoint issues you have a title that’s best left for a rainy day rather than a must play. For the $39.99 asking price it seems like you might be a little better off waiting for now, and I have to wonder if this game might have done better if the developers had focused on just the Adventure and Survival modes and Nordic had sold it for a slightly cheaper price. It’s clear that The Farm 51 is a team with ambition, but their execution could still use a bit more work and I remain hopeful that one day they’ll put out a game that fully lives up to the potential of its concept.